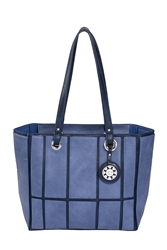 Denim & Navy Window Pane Tote. Sydney Love is a distinctly recognizable brand with whimsical print handbags and accessories at affordable prices. Buy direct from Sydney love now. 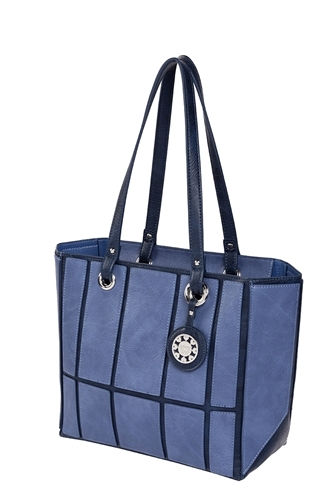 Medium tote in vegan-friendly faux leather features unique raised block detail. Includes twin handles and top zipper closure. 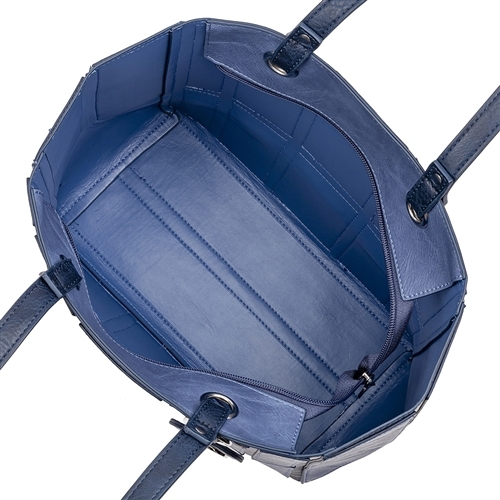 Bottom corners collapse in so you can compress the bag flat for easy storage or travel.